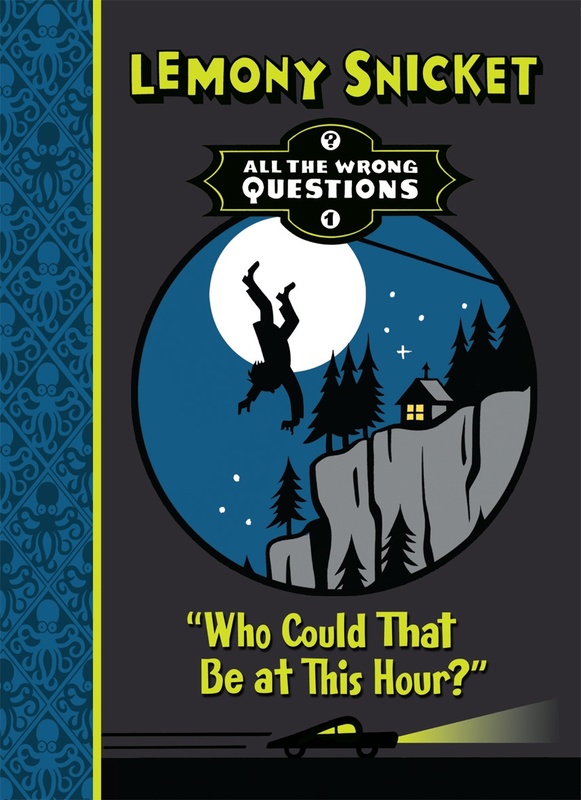 October 23, 2012 · Filed under Adventure, Authors, Books, Children, Humour, Mystery	· Tagged Adventure, All the Wrong Questions, humour, Lemony Snicket, Mystery, Who Could That Be at This Hour? 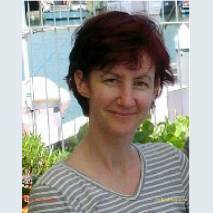 Are you curious about what is happening in a seaside town that is no longer by the sea? Do you want to know about a stolen item that wasn’t stolen at all? Do you really think that’s any of your business? Why? What kind of a person are you? Really? Who Could That Be at This Hour? is uncanny, peculiar and outlandish, all words which here mean ‘quite strange.’ It’s the first book in Lemony Snicket’s new series, in which he gives an account of his apprenticeship in a secret organisation, ‘in a town overshadowed by a sinister conspiracy, culminating in some unnerving and troublesome truths that lay buried for a number of years, while people were busy doing somthing else.’ The story is addictive and once you start, it’s very hard to put down. It’s set in a strange little town, containing ‘a sea without water and a forest without trees,’ and it’s full of bizarre events and curious characters. He looked like the child of a man and a log, with a big, thick neck and hair that looked like a bowl turned upside down. He had a slingshot tucked into his pocket and a nasty look tucked into his eyes. My favourite characters in the story are Pip and Squeak, the two brothers who drive the Bellerophon Taxi. They are supposedly filling in for their father, but they’re so short that one steers while the other sits on the floor and pushes the pedals. If you love mystery and adventure stories, but also want a bit of a laugh, Who Could Be at This Hour? is the perfect book for you. Grab your copy now from your library or bookshop. Spencer Fogle is the hero of this story: he lives in the town of Filmington, which is famous for its variety of landscapes. For this reason it is used by producers all over the world to film movies, ads and videos. Spencer is used to hearing screams on his way to school. One day, Spencer hears a scream, and something tells him that this is not special effects in a horror film. He goes to investigate…and so begins a mysterious adventure, involving carnivorous plants, hench-women, wrestling and shampoo ads. Dion is Spencer’s friend, and meets Spencer during the story. Dion is very theatrical, and dreams of becoming a movie star. 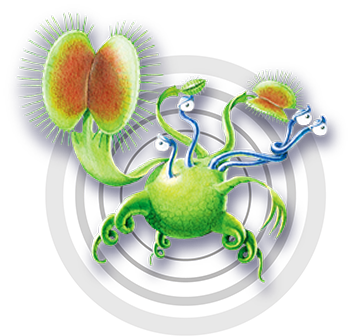 He also happens to be a Venus Flytrap with four eyes. Yes…I think that Dion Horrible (his stage name) is definitely the most original element of the book! I think that Johanna Knox has done a wonderful job of fleshing out the characters. I imagined each one very vividly…from Tora, a wrestling expert with amazing hair, to Spencer’s parents, who own a business that sells stuffed food, such as sardine-stuffed lemons. I also admire the way she writes in such a consistently humorous and strong way. There wasn’t a dull moment in the book, nor a moment when I wasn’t smiling at Dion’s antics. The mystery gets darker as the book progresses. You will find yourself rooting for Spencer and Dion, hating Jimmy Jangle and his salami-breath sidekicks, Sybil and Cassandra, and turning the pages faster and faster as the pace of the adventure quickens. Will Jimmy Jangle find Dion? What is Tora’s secret? Will Dion get his change at fame? You will find the answers to these questions- and more- by reading The Flytrap Snaps.